Day spas are heaven’s gift to those who are in dire need of relaxing time. Regular stress and rigors from professional life can somehow take toll on you and your well-being. If you’re busy schedule does not permit you to and smell the roses, at least an hour or two at a day spa can rejuvenate your vibe and spirit. Visiting day spas can be therapeutic. The ancient people are not lying when they told the humankind that massages can improve body functions such as blood circulation. The boom of day spas started in the 2000’s. There has been a plethora of sorts ever since. But, not all day spas can meet your expectations. Here are some ways on how to spot the best for your needs. This is what people often miss. They are just too excited over the idea of relaxation and aromatic smell inside day spas. When the staff asks you of your preferred treatment, you circle back the question to her. If I were the staff thinking of the business, I would recommend the expensive ones. Do you have health conditions that may be affected or aggravated by a particular spa treatment? Do you have a previous injury that the massage therapists need to know? Do you have allergies that can be triggered by certain ingredients? A good day spa would often ask you these questions and have alternative treatments for those who have health issues. Having a goal in mind would allow you to choose the perfect spa. The next step is for you to scout for a destination that fits your requirements perfectly. What are the facilities/activities this spa offer? If the place is untidy and the facilities look rusty, run for your money. The last thing that day spas should be doing is stressing out customers. Healthy fresh plants, on the other hand, are great signs. As for the activities, the more the merrier. Variety will provide you with specific options that you can benefit from. Also, they should offer personalized service. Aside from massages, most day spas also offer facial treatment, aromatherapy, body sculpting and sauna. 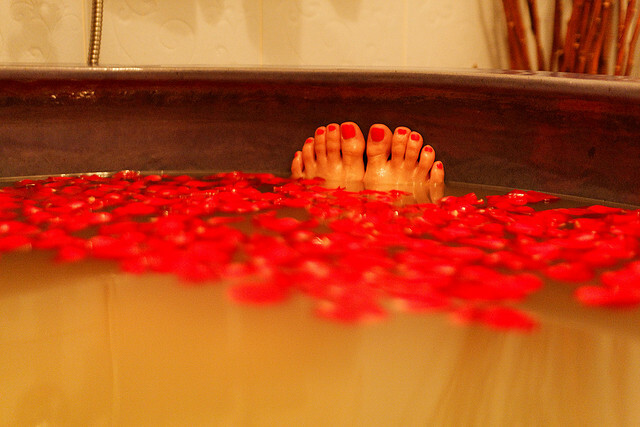 Ancient Chinese beliefs mentioned that water treatments feed the soul. It maintains the balance between the yin and yang. You know you are in good hands when a day spa has certified and well-trained staff. Otherwise, this may not be a good place for you. The spa should also be secured. You are naked most of the time and you want your privacy to be protected all the time. You don’t expect day spas to be as expensive as those in resorts somewhere in Maldives or the Caribbean. Treatments are much affordable. Plus, you save yourself thousands of dollars in hotel accommodation and plane ticket. There are those that are tucked away from the usual metropolitan area. These are usually themed day spas that over less expensive activities use of facilities and treatments. It can go from just $40 to $100. How will you fit a day spa appointment in your schedule? Using your schedule at work or home as an excuse to not find time for your R&R (rest and relaxation, could be rewards and recognition also) is lame. There is a reason why your performance is dipping and why you feel weak accomplishing your tasks lately – your body needs reinvigoration. Your immune system is already working twice as hard. Find a spa that can accommodate reservations and appointments. Take a day off to splurge in massages and treatments. That is what Saturdays are made for – ME time. There are several day spas that are open during weekends. If you really can’t miss work, Saturday is your day. You must also remember that day spas operate at daytime (opens as early as 7am and are closed by 8pm). Thin it’s a no-brainer, but is a good reminder though. More than a luxury, day spas have become an escape for many from the stressful life. Those who have resources have built their own versions at home while in and around Midwestern United States, there are suppliers of fiberglass spas in Michigan that can provide you options in case you want one at home.